This month I bring to you a young fashionista whose blog I adore, Poisoned Amour. Kenza; who describes herself as loyal, goofy, and sarcastic; is just 17 years old but she has such great taste and a bright future ahead of herself. Her relatively new blog not only shows some outfits and accessories she is loving but she also gives her opinion on upcoming and current trends, great finds, and fabulous pictures she’s discovered. 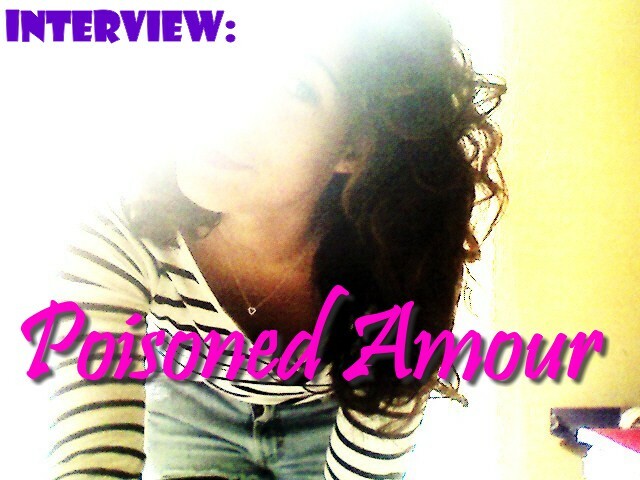 So please read more about Poisoned Amour and get to know a little bit about Kenza! Oh and make sure to visit her blog, Poisoned Amour, and leave some love! Let’s get to know you: What would you like me to call you by? Kenza! How tall are you? 5'4. What clothes size are you? Small usually, unless the specific look I'm going for is more loose, then i would just get a medium or even a large. What do you do for life? Job/ study? Currently I'm a senior. If you were a crayon, what color would you be and why? Blue; not only is it my favorite color but it also suits me. What do you see yourself doing 10 years from now? Either a type of doctor or somewhere in the political field. Which countries have you visited? Tunisia and France. Where would you like to travel in the future? Switzerland and Australia. What camera do you use? 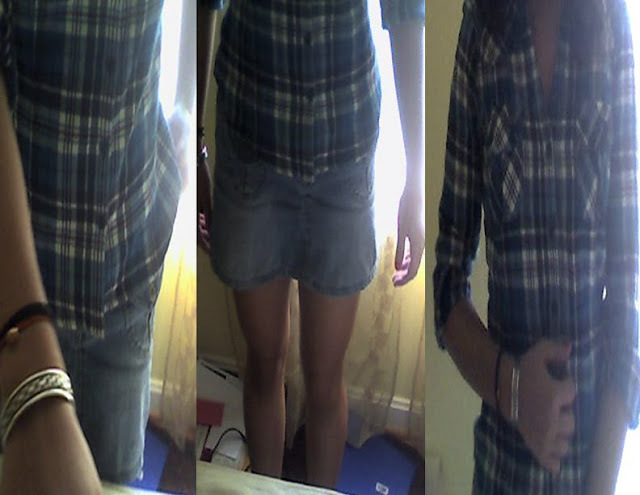 Varies from webcam, iphone, or my friends rebel cannon. yes, i know i really need to buy my own but i so cannot afford it at the moment. Who takes your photos? Usually my two best friends. What photo editing software do you use? None. Do you take pictures every day? If only, but since i don't have my own camera i cannot. How did you come up with the name of your blog? I wanted it to have the word poison on there, because as a little girl my favorite perfume was my mothers of course, POISON- Dior. 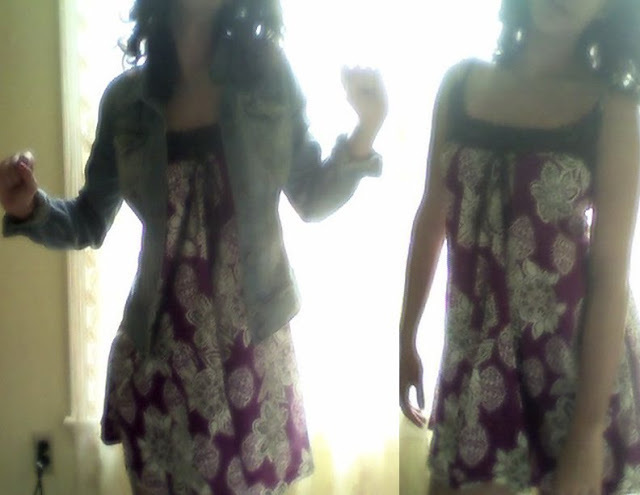 Whenever i wore it i felt like i was a grown up, pretty woman. It still remains to be one of my fav's today! And i just incorporated it with Amour (french for love) because it just somehow fit, and sounded right. What made you start a fashion blog? I was getting so inspired by viewing all these wonderful blogs, that i though hey, what if i made one! What do you think you bring to the fashion blog world? I'm not really sure what i could bring as a whole. Some people might be inspired by different aspects of my blog. So i guess it really depends. Do you like blogging? Of course! What's your secret on getting your blog so popular? Well honestly, mine is not so known at the moment since it is fairly new. But i try to get it out there by commenting more, and returning peoples comments; which i think is really important. How is your blog personality different from your real life one? Not that different. I try to be as true to myself and honesty i can be to my readers. But i supposed in real life, i am a very sarcastic, person and that might now show as much online. When where you introduced to fashion? Since i popped out; no joke. My mother is a very stylish, classy woman (she used to model) and just dressed me up all cute at such a young age, it kinda stuck through me over the years. How do you describe your style? I don't have a certain style. It all depends on my mood,and the weather of course. 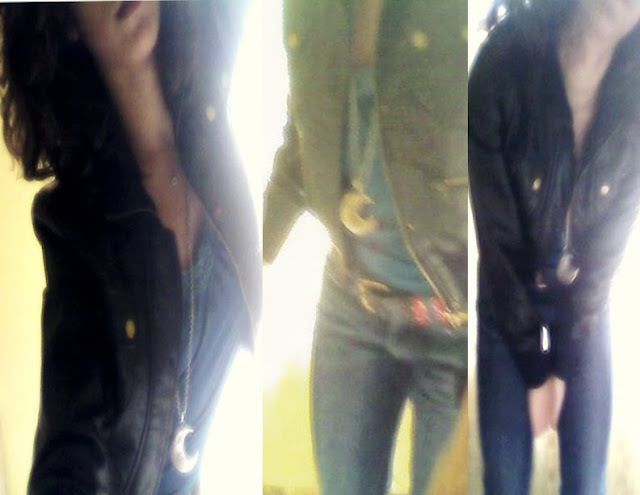 Sometimes ill just put on a girly, bohemian dress and other days ill pull out the leather jacket and leather boots. I do like a great variety in my style, so that it never truly gets boring. How is your style different than everyone else? 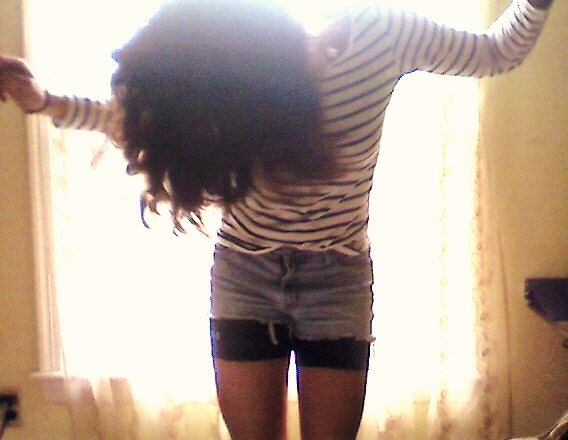 I think my style can reflect my personality and mood. If im feeling lazy and casual ill just throw on an over-sized sweater with tights and a pair of ankle boots. While other days i would take the time to try to mix and match well. Do you prefer buying a few key designer items that you wear a lot or does your wardrobe consist of mostly high street or e.g. vintage or from markets? I do like a variety. I have many designer brands, as well as normal clothing. Where do you get inspiration for your outfits? Everywhere! From other fashion blogs, television, someone walking down the street.. everything eventually inspires me. What do you consider the biggest fashion faux pas? I strongly dislike Crocs. I don't know how or why someone invented them.. but they should never be worn. at least in public. It also sometimes looks weird when someone wears their entire outfit from that certain store/designer. It just looks very immature to me. What do you love/ hate most about clothes? That even if it was a trend, and its not now it will come back eventually. Making yet, another round. Which i find pretty neat. What was your style like growing up? Mostly girly, and preppy. I think I had a wanna-be skater phase as well. oh dear. But now, I think I'm becoming more comfortable with my style, which is good. If you only had to wear one label/ designer for the rest of your life, who would it be and why? Such a hard question to answer! I supposed Alexander Wang. Many of his pieces are very versatile, and I feel that it would never get too boring with him. What is the craziest/ weirdest thing you've ever worn? Green and black striped stockings for Halloween. If you could wear only one piece of clothing for the rest of your life, what would that be? Sports tights. I can wear them at home, practice, our pair them with a long shirt/sweater or dress! What article of clothing can't you live without? Pair of shoes? A nice, pair of boots is a must for me. That's pretty much all i wear during the winters. Okay you’re stranded on an island….tell us what five things you would take with you: green iPod nano, laptop, harry potter, a jar of nutella, blankie. What are your favorite pieces of jewelry right now? rings. What's your current favorite purchase for fall? cardigans, is a must. What's your favorite kind of candy? not much of a candy person, more chocolate. I have an addiction to nutella, and toberlone. What is your favorite place in the whole world? VA, can't go wrong with a hometown. What are your favorite blog(s)? Knightcatt, Le Flassh, and many Swedish blogs. Its my new obsession. What's your favorite thing/ outfit to wear that makes you feel amazing? Shoes. 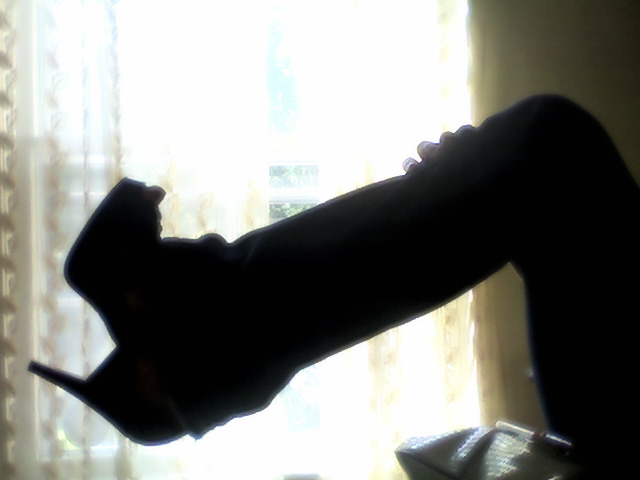 i am a bit of shoe whore, haha. my friends have to literally pull me out of shoe stores, its bad. Who is far and beyond your favorite band/ musician? Michael Jackson, U2, Green Day, Taylor Swift. Who is your favorite designer and why? Chanel, even though its not wallet-friendly for me at all. It's such a classic, sophisticated brand for all age types .. even when your like 70. so I think that's pretty awesome. Who is your inspiration? There's so much inspiration out there in the world, for it to be narrowed down to one certain person. Like i said before, a lot can inspire. But people wise i would say the Olsen Twins, Sienna Miller, other fashion bloggers. What impression do you want to leave on the people that visit your blog? To always stay true yourself, and fashion. Not wear something because its only a trend. You should wear it because you adore the piece, regardless of its current fame. Do you have any advice for aspiring fashion journalists? Similar to what i said about the impression i would like to leave on my readers, by staying true to yourself. A random comparison but if you guys have seen confessions of a shopaholic, you'll know in the end she rejects the job of her dream because it was not as honest as she thought it would be. Who do you think is the most attractive female celebrity? I think everyone is gorgeous! I do love Emma Watson's look though. so natural and light, a bit refreshing from the usual caked on make up. 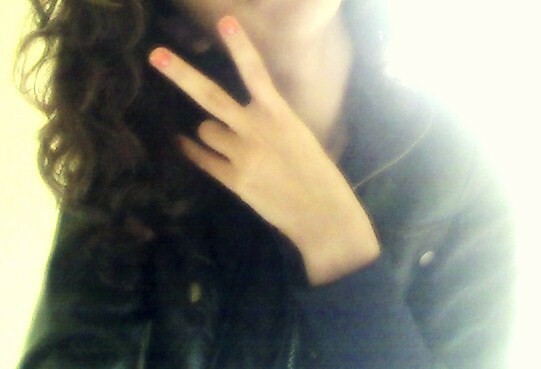 Remember go check out Kenza's blog at Poisoned Amour! Wanna be featured on my blog? Easy- just shoot me an email by clicking here!